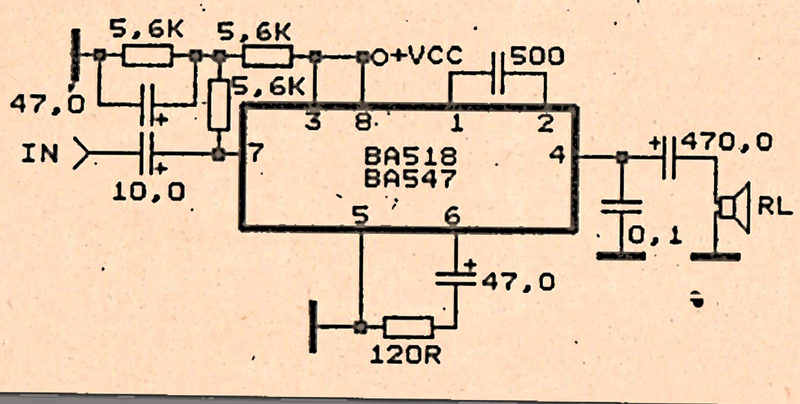 This Circuit use IC BA518 or you can use the IC BA547 , this is low mono power amplifier. Maximum power output 5W . 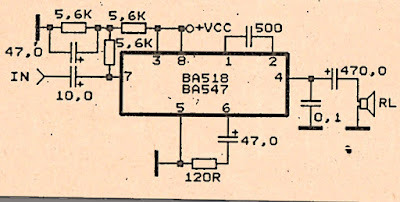 But this is also low voltage amplifier with minimum voltage require 2 Volt. And maximum voltage 12 Volt .Impedance 8 Ohm , support small speakers. Check components are can be use or not , also check the use avometer or other measuring instrument. Check the voltage on each component. 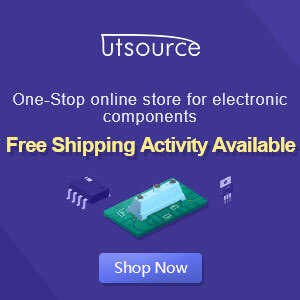 If there is a voltage that has not been entered on the components, then see if there is a broken line or short-circuit PCB , thereb inhibiting the incoming flow. Then check whether the input and output cables are still good or not.